I recall tasting a Zinfandel aged in Gambia barrels. It was an interesting experience, mostly so because no one at the dinner party could identify the varietal. Among other things, the wood had so changed the natural character of the grape that identifying it was impossible without a DNA kit. Was it a Petite Sirah? Yes, you would think so, but that’s not what Zinfandel should taste like. Delicious? Actually, it was. But what’s the point? What other Zin could you contrast this bottle against fairly? It was not representative of the grape. What it was was so unique as to become a variety of one. Maybe I need to be more open minded. All wine is manipulated after all. Just tasting free run juice will convince you how essential vinification is to the flavor of unvinified juice. But it does seem that wine can be over manipulated and, in the process, lose its varietal character, its natural essences. I have long felt that way about Sauvignon Blanc. It’s naturally acidic and fresh. A perfect summer refresher. Oaking it just seems wrong. Would you oak Riesling? To quote a great New Yorker cartoon, “Is Nothing Sacred?” But then I tasted an oaked version made by someone more famous for making Pinot Noir in Sonoma than Sauvignon Blanc. It worked. Very well. With that lesson under my belt, I was willing to try another; ergo the Chilean Gran Reserva! 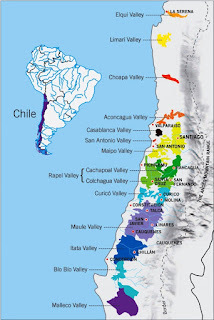 First thing to know is that unlike Spain, Chile has no legal definition for applying the term “Grand Reserva”. Affixing that term to the label is left to the discretion of the estate. It may or may not be applied due to better barrels being used, or a selection of superior grapes from their best vineyards being selected. But it is not associated with aging length. The only requirement is that oak be used. (call them base-line prejudices). In Sauvignon Blanc, I prefer Sancerre or Pouilly Fume. But I’ve had Sauvignon Blanc from New Zealand (of course, it’s the law here), various states in the U.S., in white Bordeaux, and others from South Africa, Australia and parts elsewhere. Despite this background, I wasn’t prepared at all for this experience. A wine so totally different, yet remaining true to the grape’s character. The grapefruit is there, but not in the concentration of New Zealand's style. There was a cooked herbaceous quality to the wine’s aroma (asparagus?) that cousined the green tint to the wine’s otherwise lemon color. But the taste was lively; bright even, though veiled through a sheeting of gun flint and quinine. Somehow, fruit got through all this: lime and honeysuckle. Some passionfruit. guava and kiwi, but again veiled, this time through whispers of smoke. Not obstructive. Not intrusive. Interesting. Throw in some gooseberry. If you can imagine this, you’ll understand why I was intrigued. And somehow, the finish ends brightly on an acidic freshness with salinity. 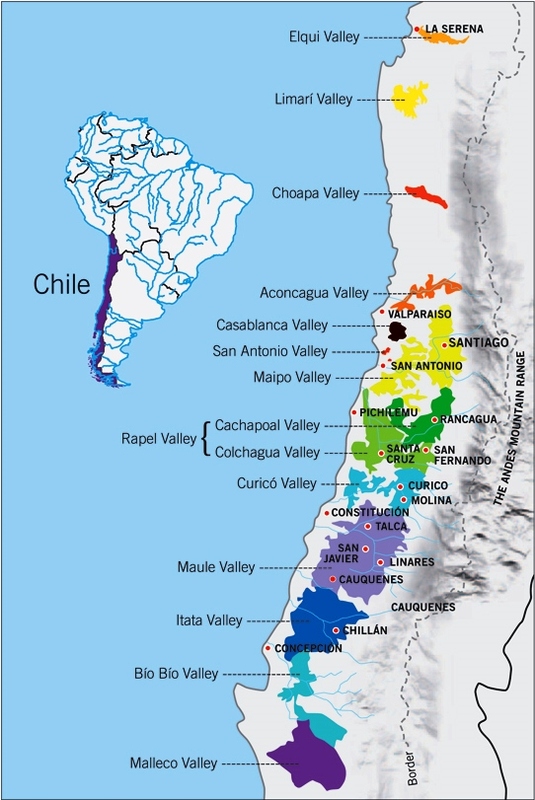 Grapes are from Casa del Bosque’s own vineyards, about 70 kilometers (43.4 miles) from Santiago, the capital of Chile, and from their vineyards in the coolest, westernmost reaches of the Casablanca Valley. While my opinion, or that of anyone is not, nor should be, a deciding factor, I’ll be buying more of this wine again just to better appreciate the rendition. You may have read Hamlet, and seen it acted a dozen times, even seen it on the screen. But you’ll still pick up a nuance in a different production that makes the experience new. That’s how I felt with this Sauvignon Blanc from Casa del Bosque. Vinous awarded it 91 points; Stephen Tanzer 91. And I? I plan to re-live the experience for the sheer interest of it. Follow Wine Mizer on facebook for industry news, fun facts, crossword puzzles and mini wine reviews – and great wine/food pairings too! Grapes were destemmed, crushed to stainless via a chiller and kept at 4c/39f, then cold soaked 74 hours. Free run juice then drained by gravity. Remaining skins and juice then pneumatic pressed and left to cold settle at 10c/50f for 4 days. Following this, 26% was racked to stainless and inoculated with selected yeasts and ultra-cool fermented (6.5c/44f). After fermentation, this was aged 2 months on gross lees (without stirring) before being blended. The remaining 74% was fermented with selected yeasts in 2nd and 3rd use French oak with temps peaking at 22c/72f. Post fermentation, the barrels were stirred weekly, after which (two months later) the barrel and tank components were blended, cold stabilized and filtered. Variety : Sauvignon Blanc, 64% clone 107, 36% clone 242. Avg. Age of Vines 9 Yrs.